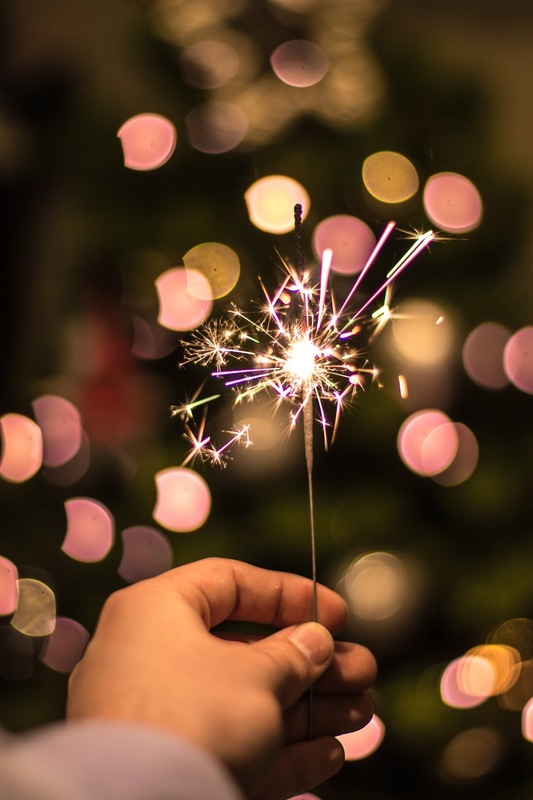 So, here are 6 REALISTIC resolutions for the new year, the list can go on and on but I think these are very achievable and actually most of them you should be doing already! This is so important I had to put it as number 1. Personally I have not done this much this year which is why every year is a chance to change right? There are many apps that can help you meditate and feel more calm. I think it is a realistic resolution to take 10 minutes out of your day to meditate, it doesn’t have to be long at all but it will be so good for your mind with all the busy schedules. 2. Save up for something you love, and buy it! The past year has been as tough as it could have been, so next year is going to be all about me, me, me. That’s right, I am going to put myself first and so are YOU. Not just in the way of stopping to always put others before you but also in the way of spoiling yourself. So whether it is a pair of new shoes, a book you’ve always wanted, a designer handbag or anything that you have had your eyes on for awhile, you will buy it this year. I don’t care if that is at the start or next December, now is the time. You can save up for a couple of months but you should definitely treat yourself to something you love. Speaking of treating yourself, onto my next point. I am so sick of still seeing people only use make-up wipes!!! NO. It is going to be over next year darling, please throw them out right now. I understand that budget can be an issue sometimes but there is no excuse in not putting in more effort into your skincare routine. There are many affordable brands out there such as the Ordinary which are actually really good! It doesn’t even have to cost you a lot of money but it is 9 out of 10 times more the effort that is the real issue here. No more ‘I didn’t have time last night’ excuses, there are always those 5 minutes time in the day to take off your make up and give your face a good cleanse. It literally takes me 10 seconds to put on my moisturizer so no more excuses. There are sooo many places that you probably haven’t visited before and this is the year to do it! It is good to discover new places and to create more experiences for ourselves. It can be a city in your own country or abroad, it doesn’t have to be far which is why there is really no excuse as to why you shouldn’t achieve this resolution at the end of the year. Milan and Barcelona are on my list and I would love to know which ones are on yours! This year you are not going to put up with being someone’s last choice anymore. Delete people from Facebook that you never talk to, unfollow those on instagram that annoy you or the accounts that have a negative impact on you in any way. Block the number from the guy who still tries to message you even after he let you down so many times. It is over this year, have a complete social media cleanse, you only need positivity around so be critical. This will be the most difficult one but also the most rewarding. Quit one bad habit this year whether that’s smoking, watching too much TV, overspending, drinking too many fizzy drinks and not enough water etc. It can even be as small as biting your nails or finally waking up at a reasonable time and not 1 pm. Mine is being on my phone literally until I fall asleep which is bad and not good for my sleeping routine so I am going to read a book at least half an hour before I go to sleep. Reading more can be another good new year’s resolution but I think we have got enough to cover here already. None of which are unrealistic so no excuses! Let’s make it a good year everyone!